It’s definitely not business as usual at Holiday Inn Express Paso Robles, a first-rate, 100% smoke-free government and corporate travel destination. Surrounded by the vineyards of Wine Country, our sophisticated Paso Robles, California hotel boasts a 1,100-square-foot meeting space for a wide range of events. Everything from business meetings, corporate conferences, and seminars to social gatherings like reunions and receptions can be easily accommodated in this flexible venue. 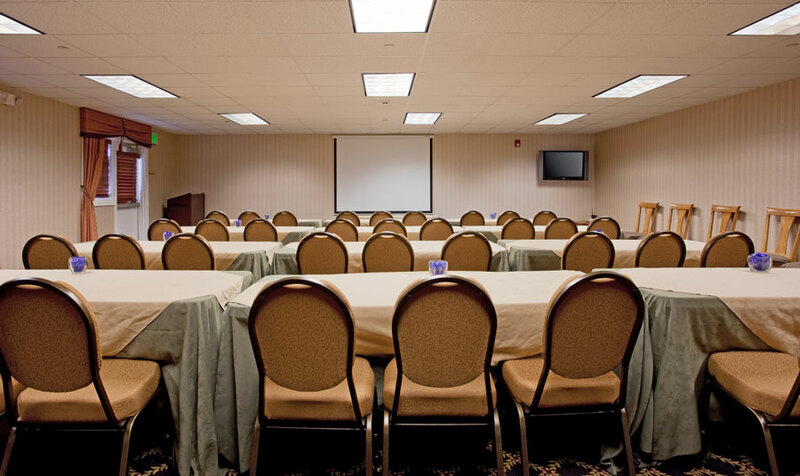 Amenities are plentiful and include high-speed Internet access, conference capabilities, audio-visual equipment, catering services, as well as tables and chairs. We also provide a professional staff of event planners who will manage your Paso Robles event from day one to ensure that it’s a smashing success. What makes our location so inviting is the fact that we’re within easy reach of all types of post-meeting activities. Play a round of golf on one of several challenging courses or indulge in a Central Coast wine tour.